← Investment Management. Why You Need A Complete Rethink. 4 Questions. 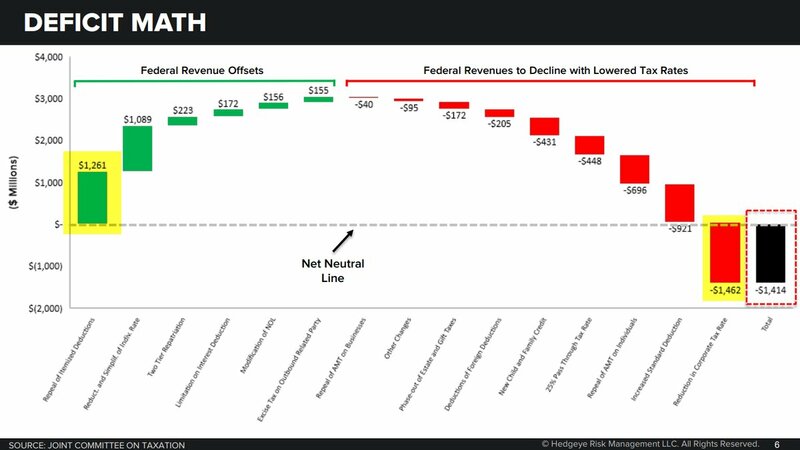 Tax reform bill: myths about tax cuts and truth about growth. 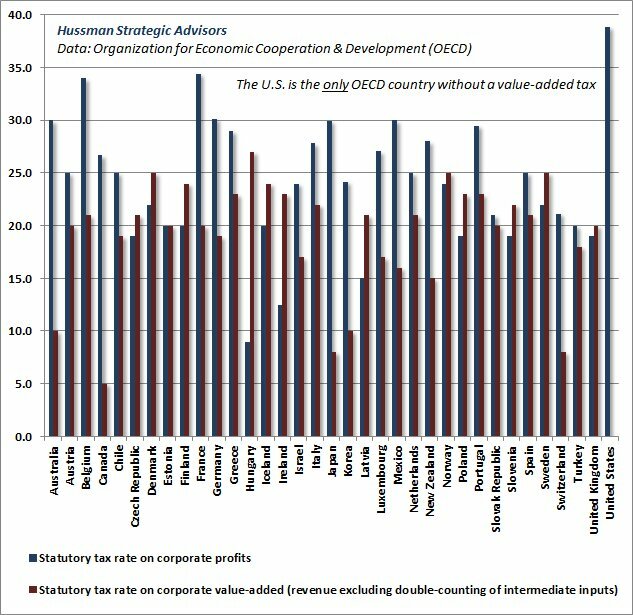 The US is the only OECD country that has ZERO value added taxes. Arguably, total US corporate taxes are the lowest. Scoring the bill it is hard not to see this bill as a massive further federal debt increase in favor mainly of corporations. This is happening as tax revenues are already falling and the gap between the tax revenues and the S&P 500 has never been wider. This video explains the myths about tax cuts and truth about growth. The US is the only OECD country that has ZERO value added taxes. Combining this with corporate profits tax, the US arguably has the lowest corporate taxes of any OECD country. 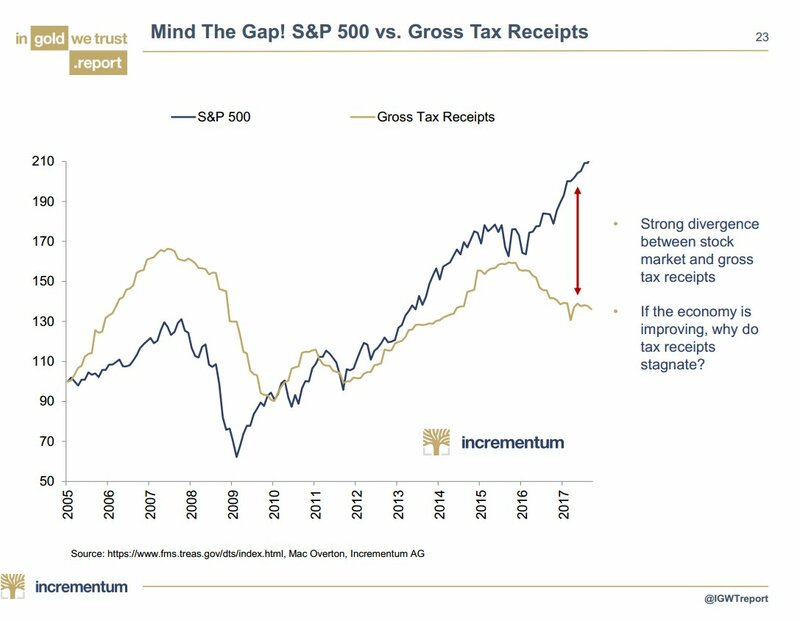 This is happening as tax revenues are already falling and the gap between the tax revenues and the S&P 500 has never been wider! While corporate welfare and exploding Federal debt ​have clearly become the main priorities of policy, it is hard not to conclude that this policy is far off the mark in terms of almost any other perspective.